I try and eat fermented food every day. Fermenting food is an old school technique and way to preserve food. The process creates those good for you probiotics that help your body's immune system operate at its peak. This 5 step 2 ingredient easy sauerkraut recipe will turn you into a fermenter and also keep your digestion working well. If you like to can all of the beautiful summer fruit to enjoy in the winter, then you're already familiar with fermenting and preserving food. If you're like me and think canning seems way too daunting, then stay with me on this easy DIY sauerkraut recipe. 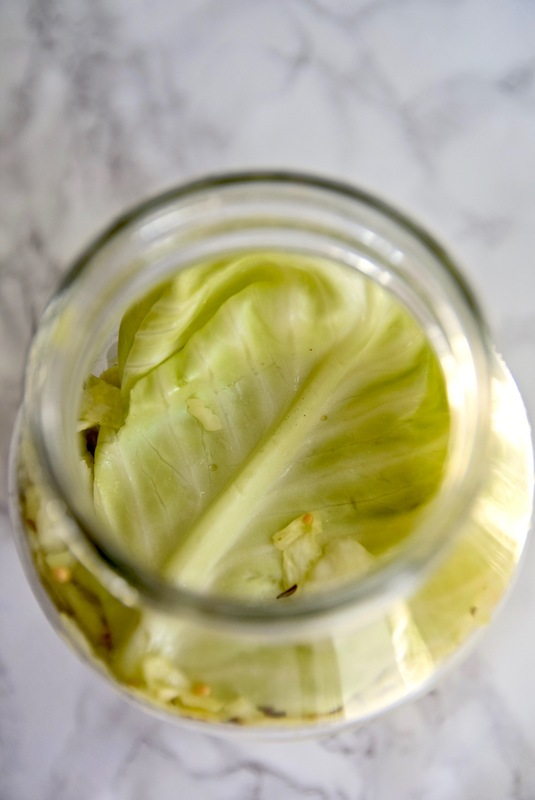 All you have to do is slice cabbage, throw some salt in, and stick it in a jar for a little while to ferment. I told you it was easy. 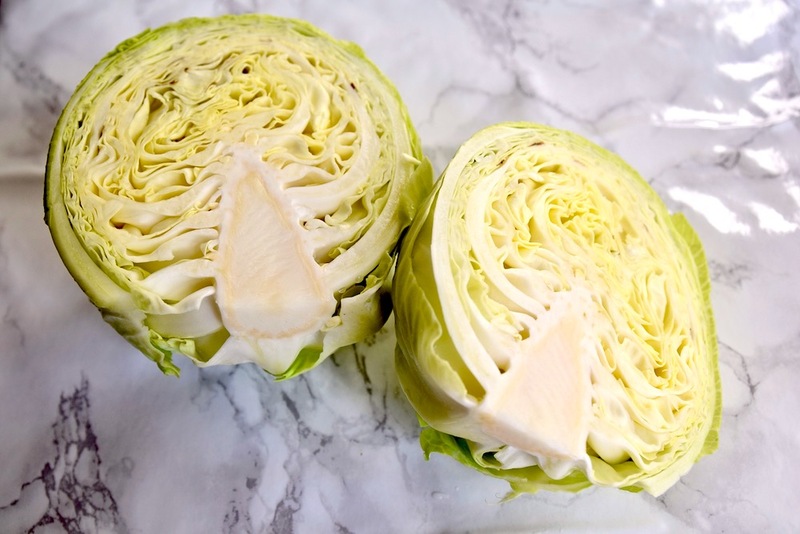 The fermentation process of the cabbage creates the good-for-you probiotics, which help your gut. Your gut has good and bad bacteria living in it. Every day it's a battle to see who's ahead. Guess which side your newly fermented cabbage is fighting for? Sauerkraut and other fermented vegetables help build your good bacteria to fight off toxins and other foreign invaders it deems hostile - hello gluten and dairy. So it's a great idea to load up on probiotic-friendly food like kraut, pickles, kimchi, and kombucha. I got to watch my own hands-on DIY sauerkraut demo courtesy of KeVita at the summer food event, Live and Dine LA. KeVita partnered with Uri Laio, from Brassica & Brine to show people how's it done. Uri is a master fermenter with his own line of sauerkraut, and KeVita is the master when it comes to fermented beverages. KeVita has 3 tasty product lines to get your probiotics on in a drinkable form - master brew kombucha, apple cider vinegar tonic, and sparkling probiotic drink. I'm a huge fan of KeVita's cayenne sparkling probiotic drink with just 1 gram of sugar, 4 strains of live probiotics and 4 billion CFUs. Total winner. So now you have a few ways to keep your gut and body healthy. Get your fermentation feet wet with this 5 step 2 ingredient easy sauerkraut recipe. Set aside one full leaf of cabbage, then chop the cabbage in half from top to bottom, and cut out and discard the core. 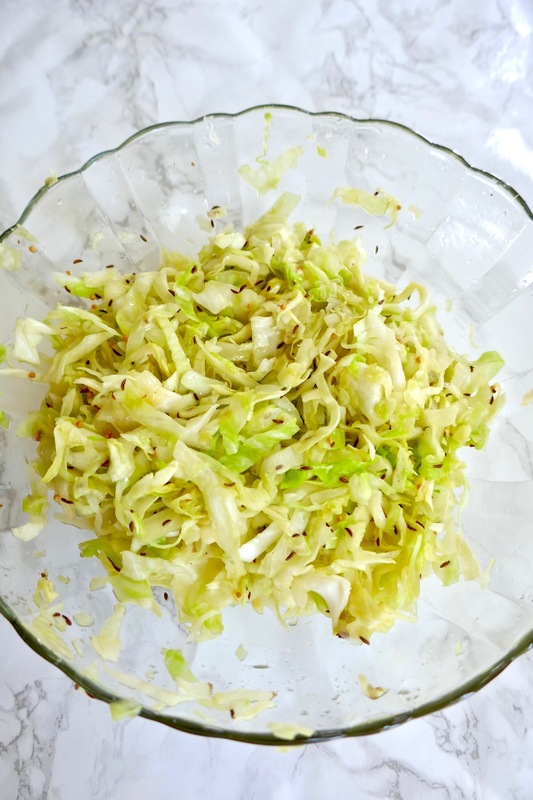 Shred the cabbage by cutting into thin ribbons or running through a shredding blade on a food processor. Add salt (and optional spices) to the shredded cabbage and knead the salt and shredded cabbage for 1-2 minutes. Let the cabbage sit and “sweat” for about 15-30 minutes (or longer) at room temperature. The salt will draw out a lot of brine and the mix will become noticeably wet. Pack the cabbage mixture into a 32-ounce glass jar with lid. As you fill in every couple inches, give it a forceful push down with your fist or other tool. Stuff the cabbage with its brine into the jar as tightly as you can, pushing out any air pockets and filling to within an inch of the lid. 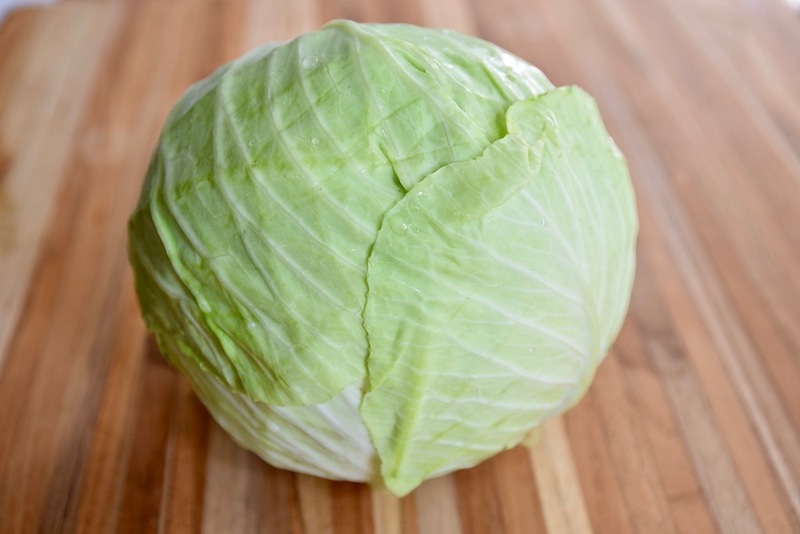 Place the reserved full leaf of cabbage on top, crumpled up, and then screw the lid on loosely so that pressure can escape during fermentation. Put the jar on a plate to catch any brine which will likely overflow out of the jar as fermentation progresses. Place in a cool place (ideally around 65 - 75 degrees) out of direct sunlight. Let sit for five days to three weeks and move the whole jar to the refrigerator when you decide it's done. During the first few days, it will bubble and become fragrant, the colors will dull, and the flavor will develop an acidic edge. This sauerkraut should be fine for at least six months to a year, if not longer. Trust your nose and taste buds. I was a guest of KeVita at Live and Dine LA, but all opinions are my own.